Blog > How Is the Government Shutdown Affecting Real Estate? How Is the Government Shutdown Affecting Real Estate? As we start the new year with political tension caused by the government shutdown, many are wondering how this will affect the real estate industry. Today I’ll address a few common concerns. Many, many people have been affected by the government shutdown—including yours truly—sparking numerous questions and concerns from people with interest or stake in the real estate market. 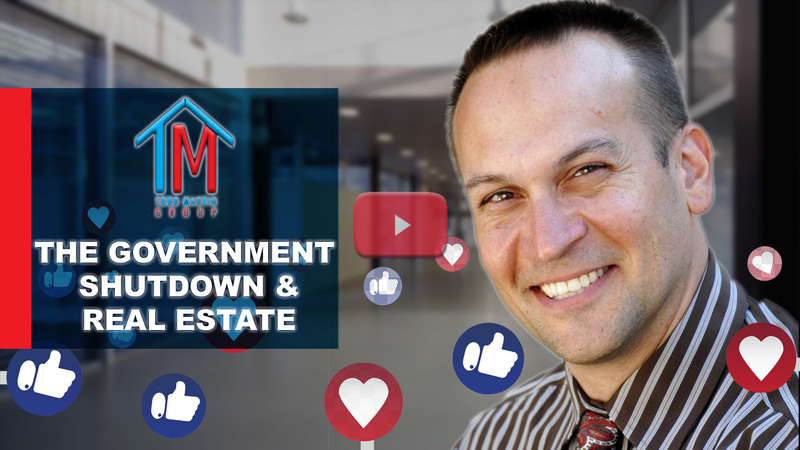 In my first Facebook Live video of the year, I’ll be addressing some of these questions so that you can stay informed and make smart decisions with your real estate goals. 1:09—How has the time frame of buying a house, with regard to the number of days on contract, been affected by the shutdown? Most underwriters for FHA loans require a certified tax return, aka a 4506-T, to process the loan. The government shutdown means there is no one currently available at the IRS to process requests for 4506-T forms. We’ve already seen closings that have been pushed back because we can’t get verification of funds. 8:40—What sorts of loans are being affected, and how? Technically, most loans are affected, given the issue with verification of funds. Specifically, though, government-backed loans such as the FHA, VA, and USDA loans are affected because their entire government departments have been shut down. They’re not even looking at those loans. Now, that doesn’t mean you can’t begin the process, but the process for approval will be delayed. 15:30—You mentioned the IRS—but what about taxes? Many people are counting on their tax returns for down payments. The truth is, we don’t know what is going to happen with regard to taxes at tax time, so those who eagerly await their tax returns in order to buy a home should, at the least, expect a delay. Remember that everyone in this industry is trying to work together to come up with solutions to these barriers so that our clients can move forward to purchase their properties. If you have any questions or concerns, don’t hesitate to reach out to me. I’d be glad to have a discussion with you.